Budapest may have formed from the joining of two riverside cities, Buda and Pest, but the two sides could not be more different. While Pest seemed to be where one goes to shop and eat, Buda was where I had the chance to feel Hungary’s glorious past as the then-newly liberated nation faced a promising 21st century future. Although the skies were gray on this mid-November weekend, the colors of the western bank side were vibrant (trust me, despite the muted tones in the photos here). I began my visit by crossing from the Budapest-Keleti station, where I arrived via sleeping car from Munich, across the city to the west bank. The below shot was taken after climbing up the ridge to see Buda Castle, about 7AM before the traffic started picking up. The place where I took this shot was the Citadella setany, located to the south over Szabadság Bridge. This fortress belonged to the Habsburgs to protect the city. Along with cannons and other military artifacts, the Citadella hosts the Hungarian ‘statue of liberty’ or Szabadság szobor, which is a female figure on a column holding a flag over her head — at the feet of the column is a sculpture of hand-to-hand combat. The western bank of the Danube is much hillier than the East, lending itself naturally to the construction of prominent castles and monuments. 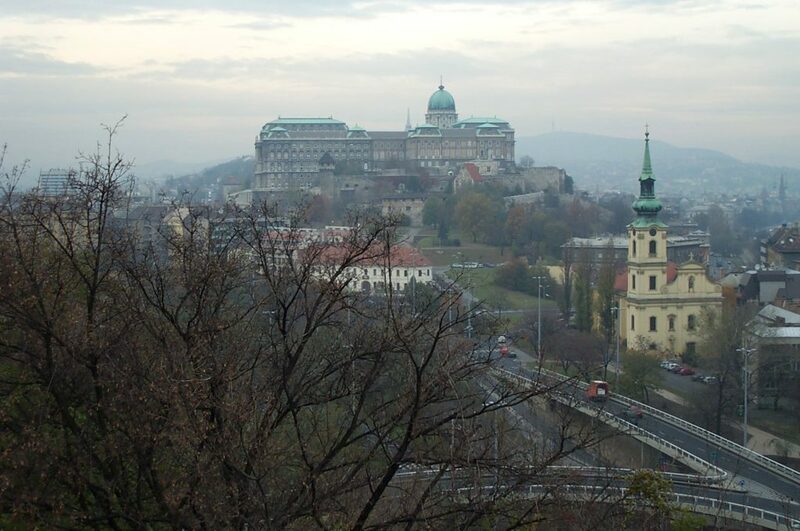 The grandest of them all is Old Buda and the Buda Castle (pictured both above and below). Old Buda is a square-mile walled borough perched on a hill a stone’s throw from the Danube across from the heart of Pest. Old Buda is loaded with must-sees. The Castle itself is a massive structure housing a Theater and several art Museums, along with excavated ruins in the front and exquisite statues and fountains carved along many of its walls. 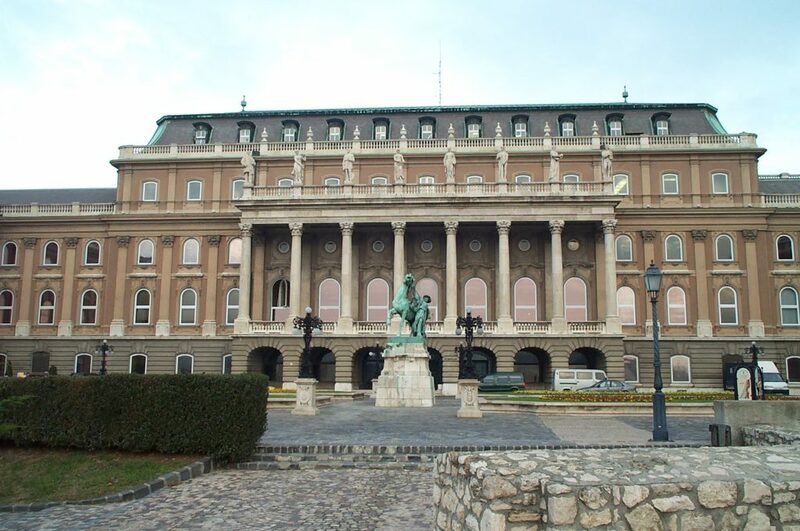 It also houses the Budapest City Museum on the south side. Meanwhile, Buda has several prominent churches and old world restaurants, and ancient Parliament building and the National Archives. The most picturesque of the churches is the Evangelical Matthias Church, that sits over the Fisherman’s Wall. This Wall provides a wonderful view of the River and of Pest. It is worth noting that this visit preceded a decade-long restoration project for the Castle which, according to this article, is yet unfinished. It included the demolition and reconstruction of portions of the outer and inner walls, so I do not know if scenes such as the below are still current. But there’s much more to the West Bank than just Old Buda. Built into the cliffs beneath the Citadella is the Gellérthegyi Barlang, or ‘Cave Church’ as it was described in brochures. 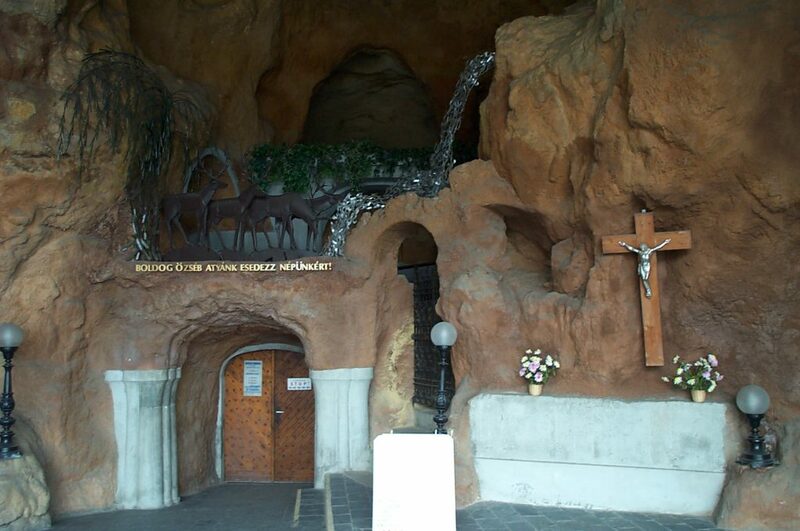 The church is an active Catholic grotto church that really does exist inside a cave (it was closed by the Communists and sealed until the end of the Cold War — read about it here), and is open year-round. 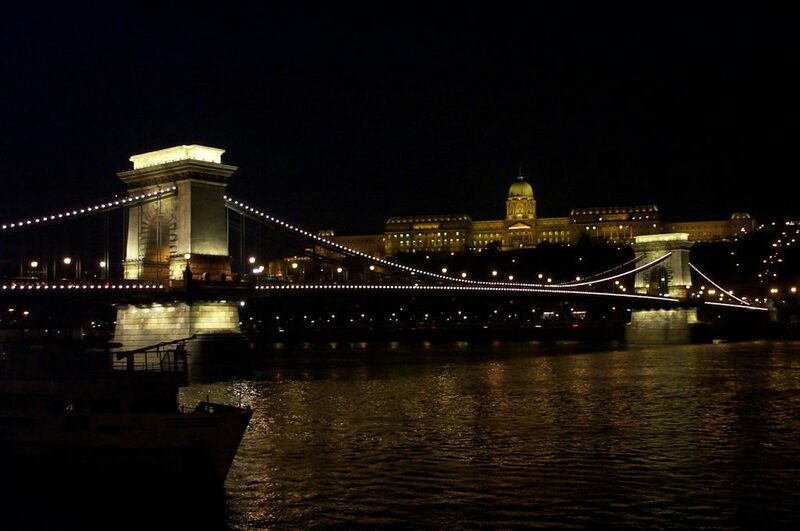 Budapest also boasts several beautiful bridges crossing the Danube, but none of them compare to the sheer beauty of the Chain Bridge, the Széchenyi lánchid, especially when lit at night. The below picture was taken from the East Bank of the Danube and shows the Chain Bridge with the Buda Castle in the background. It is among the most fantastic night shots I’ve ever taken! 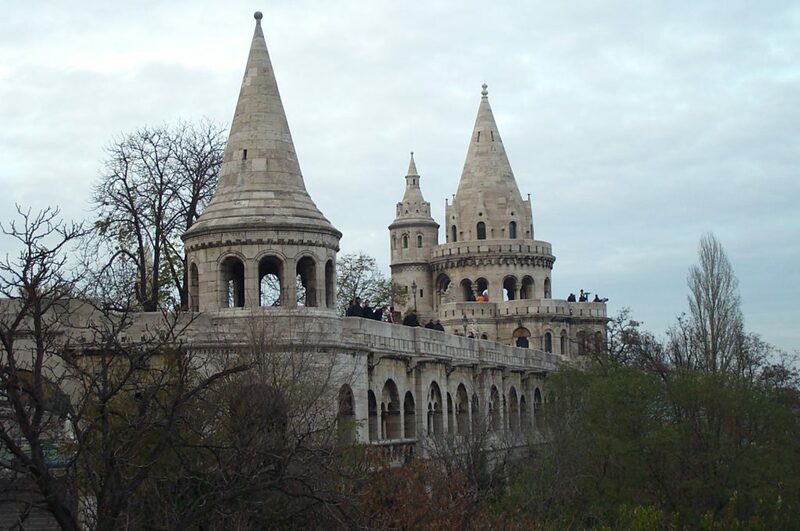 While the West Bank may challenge the mountain goat in you, it is worth every ounce of energy to climb the hills (or you can do it the lazy way, there is a funicular train at the west end of the Chain Bridge leading up to Old Buda!). You certainly can’t say you did Budapest without doing Old Buda!